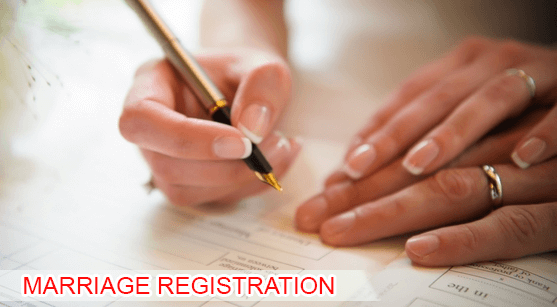 Marriage registration services are offered by many Indian advocates today to ensure the registration takes place correctly and quickly, without the need to go back and forth from the registrar’s office unnecessarily. There are many documents to be dealt with to get a marriage registered. There are two types of acts in India under which a marriage can be registered. One is under the Hindus Act, which requires both spouses to be Hindus. The application can be made at the sub-registrar’s office where the marriage was conducted or at the registrar’s office in the locality with either spouse has stayed for at least 6 months. Documents like ID, address proofs along with age proof, etc. must be carried as well, certified by a gazetted officer. Upon submission of these documents, the registrar will fix a date when the certificate can be collected. Under the Special Marriages Act, the procedure is more or less the same but with a few extra procedures to be followed. At least 30 days’ notice must be given to the sub-registrar. A wedding card and a priest’s certificate will not be required here, but a notice is put up for 30 days and people, say ex-spouses or any hidden relations, can raise objections if they want to. If none are received then the marriage certificate is granted. For proper management of all the files and documents needed to get the marriage registered swiftly, using a reliable advocate or lawyer is very important. Advocates in Chandigarh has helped many couples get their marriages registered as quickly as possible with little hassle. The importance of getting a marriage registered has gained a lot of credence in today’s date due to the high number of fraudulent marriages taking place. Advocates in Chandigarh will stay with their couple during the entire process and handle any obstacle that may arise in the process.